Tanukiyama playground in Machida City, Tokyo is an incredible adventure playground built into a bamboo forest. 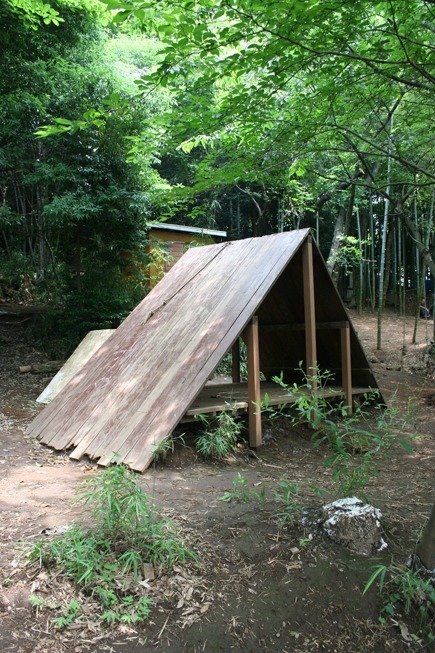 Many dens and structures are also made from bamboo. This structure is a twin slide that doubles up as a den.